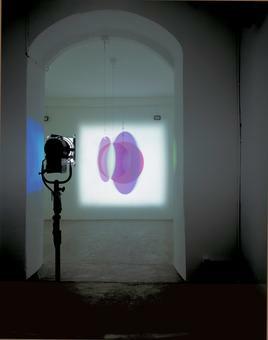 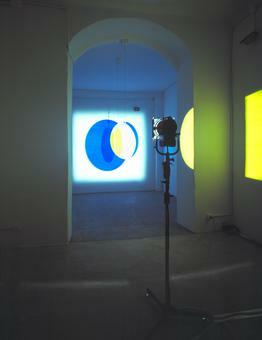 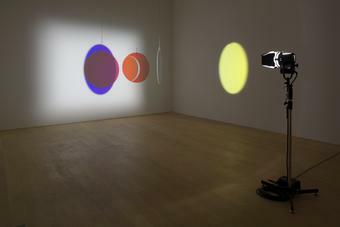 A powerful spotlight, directed horizontally through the space at eye level, serves as the primary light source. 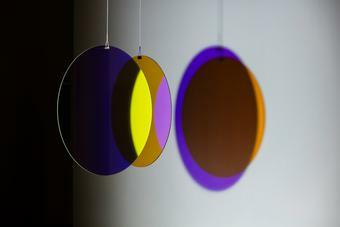 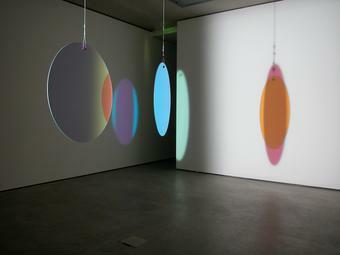 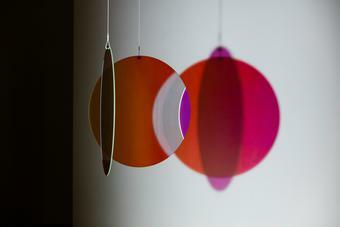 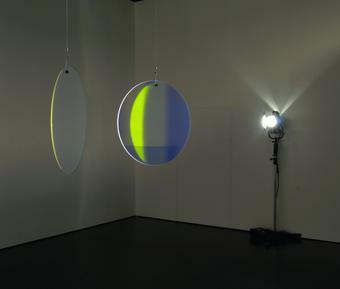 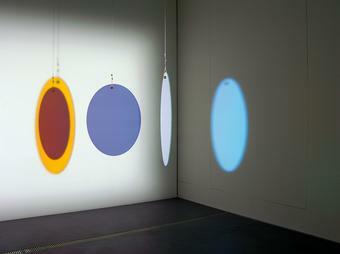 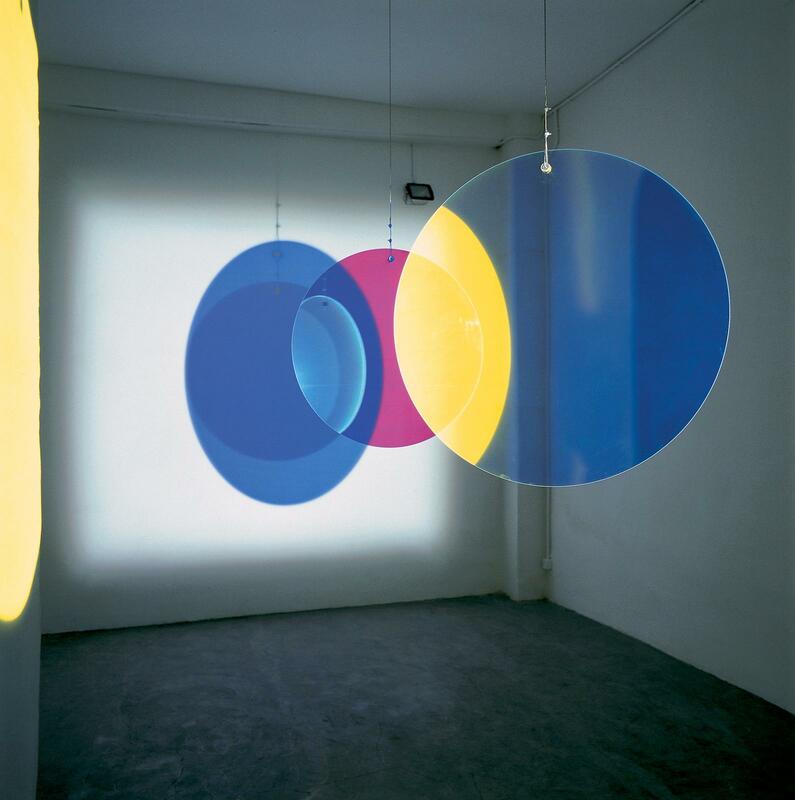 Two discs of color-effect filter glass (one blue, the other red) are suspended from the ceiling and rotate slowly. 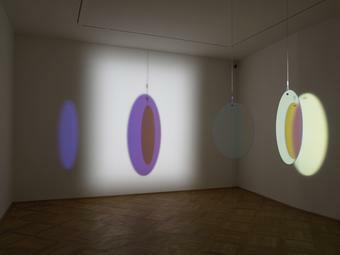 Only a limited range of the spectrum of visible light can pass through each disc, light from the remaining range is reflected. 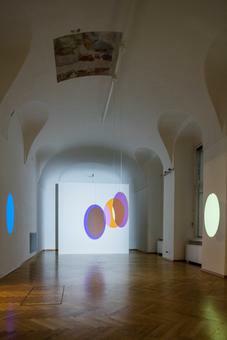 As a result, spots of complementary colors are cast on the gallery walls. 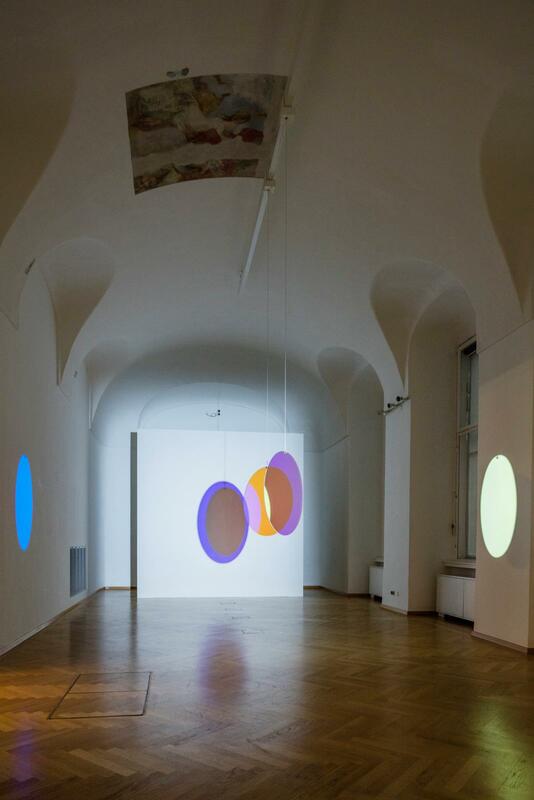 Because the slow-moving discs are not synchronized, these projected areas of color wander, meet, coincide, and overlap, generating a seemingly endless number of combinations of colored circles and ellipses.